Kaur Wulfel (aka Kaul Wurfel) at the court in Mombasa. 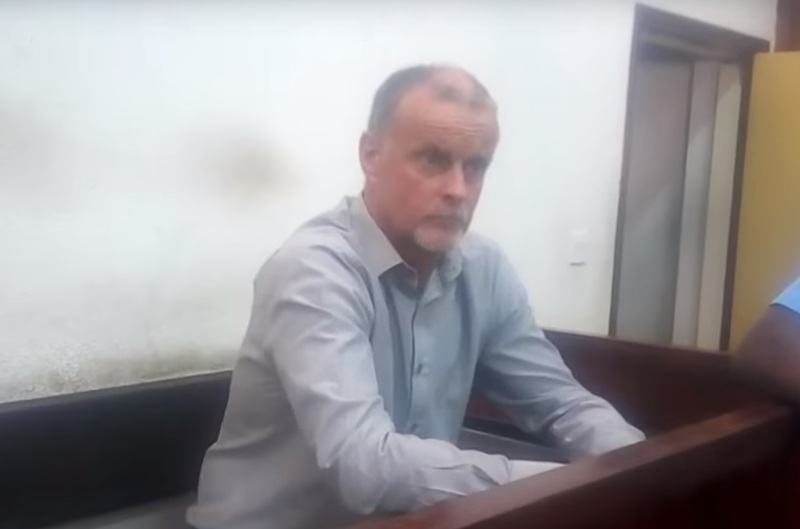 The senior resident Magistrate in Mombasa last week ordered for further detention for a German “investor”, who was earlier this month arrested for involvement in trading of illegal drugs at the Kenyan coast. 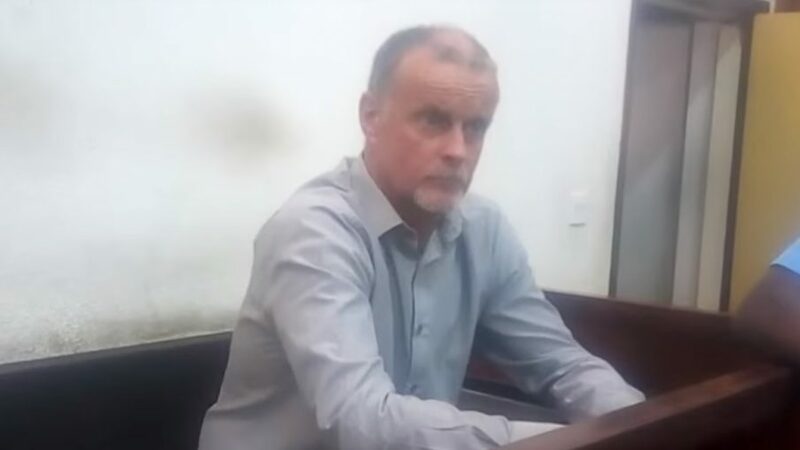 A German national, Kaur Wulfel (aka Kaul Wurfel), was on August 7th arrested in the company of others at the Kenyan-Tanzanian border on his way to Tanzania. The senior resident Magistrate, Edgah Kagoni ordered for Mr. Wulfel to be arraigned at the Jomo Kenyatta International Airport court. The order for the arraignment was not followed and Wulfel continued to be detained at the Jomo Kenyatta International Airport detention centre. The JKIA court was established to handle traffic and drug related cases that were initially dealt with at the Kibera and Makadara law courts. The court was to ensure proper management of exhibits to avoid tampering with evidence. In addition to the Director of Public Prosecution’s unsuccessful attempt to stop the court from handling the case, Mr. Kagoni rejected an application by the Principal Prosecuting Counsel, Jami Yamina, to transfer the file to the High Court where Mr. Wulfel had filed an application opposing his deportation. The magistrate said his court did not have the powers to transfer the case. Mr. Wulfel was moved to the Port Police where he will be detained until further instructions are given by the court.